Home » My First Sucker! One of my goals this year, since becoming a rough-fisherman was to start catching suckers. With the help of my new fish friend Tim, I got good advice on gear and tactics, and once it warmed up I set out to a local pond that I knew had suckers in it. I had thought, based on posts from other fishermen, that this pond held white suckers, which I thought were a reasonable (and most abundant) sucker species to target in my area. 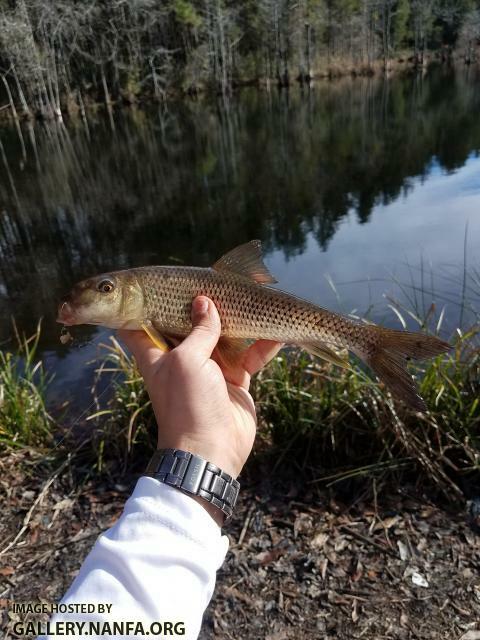 In previous visits to this pond targeting "game fish", I had seen suckers swimming around, but was unable to catch them. I got to the spot on a nice warm day, hoping the activity in the pond was starting to warm up too. After 4 hours of fishing without a bite and slowly losing hope to land my first ever sucker, the bite turned on. I saw fish of all species (Largemouth, Chain Pickerel, Yellow Perch, Bluegill, and an unknown sucker) prowling the banks for their next meal. I regained hope, and re-baited my hooks. I dragged my wacky-rigged worm along the bottom and got my first two bites and small largemouth and a nice 8 inch yellow perch, but my third bite would be the one that I remember! A rocket took my hook and faught like hell, pulling drag on my light-weight setup. This had to be a sucker, I had heard they are good fighter. I pulled it in, hoping to quickly ID my first white sucker, take photos and release it, when I noticed he was speckled from head to fin with gorgeous black spots at the base of each scale. 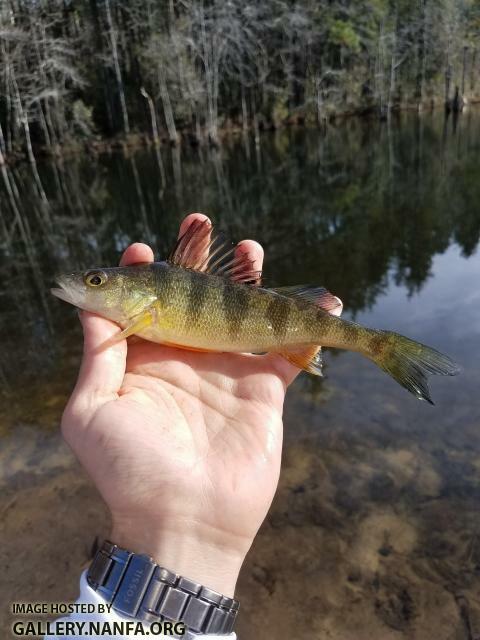 A spotted sucker, truly a great surprise! Not bad a bad first sucker to cross off the list! Ah Tim didn't teach you much that you already didn't know, hopefully we can meet up soon and all fish together again. It's crazy to me that you went out looking for suckers, fished a pond, and ended up with catostoma's white whale. You are a charmed person. Welcome to the world of roughfish! Great first sucker! Mine was a quillback. Blew my mind. 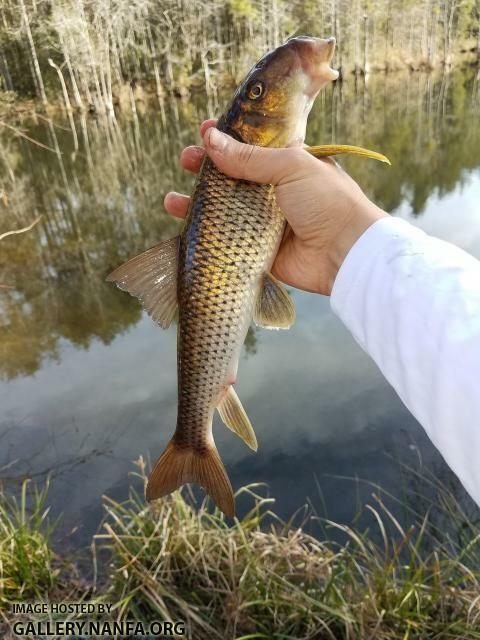 Haven't caught another one in the 10 years since. Casey, yes hopefully very soon! Graceclaw, Thank you man. Definitely surprised when I pulled up a spotted sucker. Right place, right time of year, good weather, patience, decent techniques, and a little luck. But the kind words are very appreciated. Hopefully I will continue to be blessed as I pursue more suckers!